Perlas is literally translated as “pearls” and means the little bubbles that form on the top of mezcal when it is agitated. It’s a beautiful term for a phenomenon associated with our favorite spirit, but something else is going on on when you shake that mezcal. This is a big deal in the mezcal for two reasons, tradition and resources. First, why use a tool when your eyes are right there? Many mezcaleros have an extraordinarily keen read of the ABV down to the degree if not finer. Combine that with the fact that most mezcaleros don’t have many resources so buying a hydrometer is a waste of money when compared with the utility of a well trained eye. But the importance of perlas in the mezcal world goes far beyond utility. Every time I’ve visited a palenque there’s a moment that is superficially casual when the mezcalero pulls out a little bamboo or cane straw (aka the benencia – stay tuned for a future entry on this one!) which they use to siphon some mezcal and then release it into a large jicara. 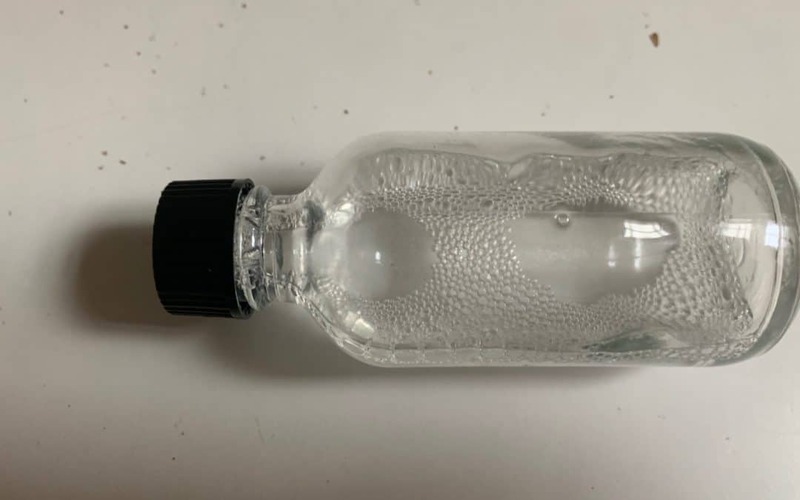 The point of this is to demonstrate the ABV of the mezcal, to show you the evidence, that it’s a real mezcal, that it is what they said it was. Most of these encounters are quiet, occasionally a mezcalero will be super enthusiastic and really – really – want to tell you what it means. But most of the time it’s a ritual of honesty and experience – you’re being shown that they know what they’re doing and stand behind their product. There’s another issue looming in the background here: One of the big assumptions in some sectors of the mezcal world is that a mezcal isn’t a mezcal if it’s lower than 45% ABV. No one knows how that came about, there is ample oral history testifying to its longevity, but suffice to say that for some people that’s a basic fact, especially in Oaxaca. I’ll have more to say about this question later, for now it’s enough to know that a lot of people consider this a defining line in mezcal and use perlas as a proof: That’s why perlas have acquired such a huge importance in the mezcal world. Read more of our entries in the Mezcalistas Encyclopedia of Mezcal and email us questions or ideas for future entries.